Former Nigerian minister, Femi Fani-Kayode, has listed the persons who won presidential elections after being endorsed by Obasanjo. Mr Femi Fani-Kayode, a former Nigerian minister of Aviation, has talked about Olusegun Obasanjo's influence and "power" in deciding who becomes Nigeria's president. The former minister pointed out that all the presidential candidates who had been endorsed by Olusegun Obasanjo had all ended up winning their elections and becoming presidents. He then explained that since Obasanjo has endorsed Atiku Abubakar, then it is certain that the politician will win the 2019 presidential election. 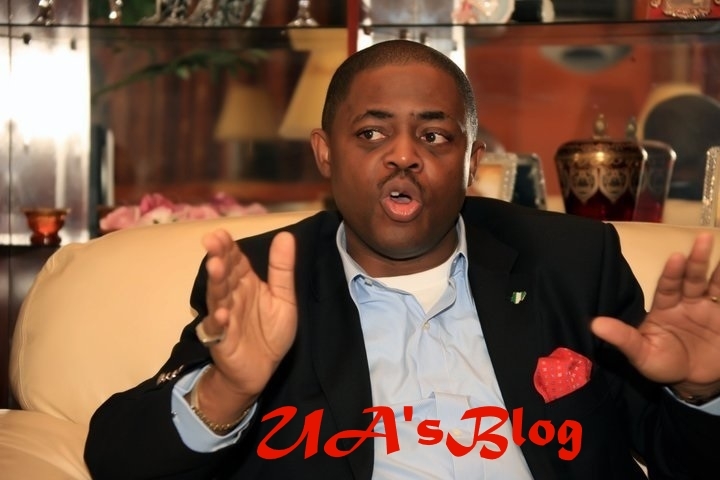 Fani-Kayode shared his thoughts on Twitter. He wrote: "OBJ endorsed himself in 1999: he won. 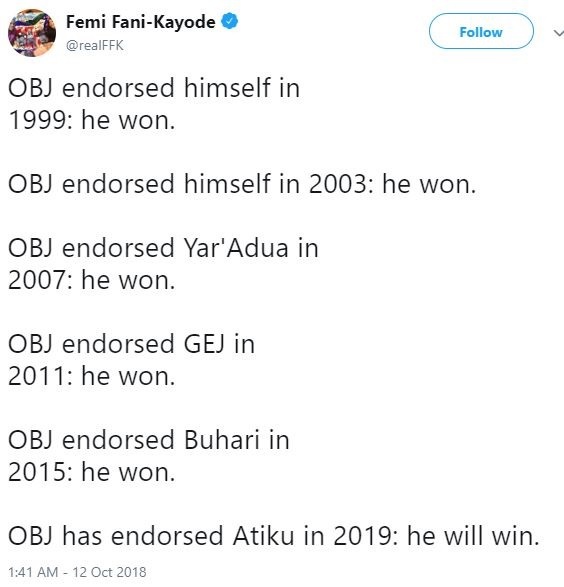 "OBJ endorsed himself in 2003: he won. "OBJ endorsed Yar'Adua in 2007: he won. "OBJ endorsed GEJ in 2011: he won. "OBJ endorsed Buhari in 2015: he won. "OBJ has endorsed Atiku in 2019: he will win."